For the coffee-loving dad! 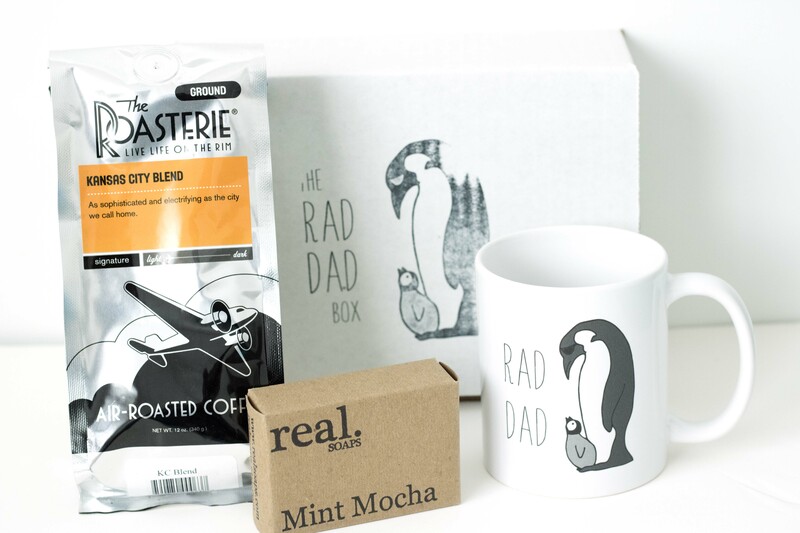 This gift box contains our bestselling Rad Dad mug, a 12 oz bag of ground coffee from the Roasterie (our local coffee roaster in Kansas City), and coffee (mint mocha) soap from Real Soap Company! Makes a perfect gift for those dads who run on coffee.